A round-up of recent project news, sharing and other events. I was pleased to be invited to participate recently in a KinderConcert performance in Edinburgh. Performing solo to a small group of children and parents, I introduced my various wooden flutes and whistles while playing some different forms of Scottish traditional music. I was delighted with the response as we all rowed through Hebridean seas together, sought seals, pretended to be dogs, marched, danced and ceilidhed for half an hour or so. It’s not quite the type of concert I usually do as my life as a traditional musician and teacher of children don’t directly overlap that often. But it was a good mix of my different experiences and I enjoyed bringing them together immensely. It was friendly, well organised and very relaxed, making it a natural thing to have some fun at the same time. The KinderConcerts monthly programme is an informal and low key opportunity to introduce children up to the age of 9 to a range of musical experiences. Other performers have included solo cello and a classical string ensemble is planned. I was recently at a Figurenotes Good Practice Day run by Drake Music Scotland that was invigorating and inspiring from a teaching perspective. I have been aware of Figurenotes music notation for a couple of years and have been experimenting with the system a little in that time. The system uses shapes and colours for notes and was developed in special schools in Finland. Drake Music Scotland have piloted its use in Scotland and provide support and resources for those using it. This term I made a decision to make it more central to the music lessons at one of the schools where I teach Music. There have been some very quick success stories, even from children who may have been hard to reach. I came away with some ideas on how to take things further in the classroom and look forward to using them. Figurenotes Good Practice Days are full of creative opportunities and practical advice and support for using the Figurenotes notation system. This was the second one that I have attended and it is highly recommended, with chance to share and network with others as well. I live round the corner from Drake Music Scotland, but some of the people attending had come from elsewhere in Scotland, England and even Sweden. The next one takes place in February 2014. On the subject of continuing professional development, I was pleased to have the opportunity to attend a EYMF Swapshop last month that was led by Caroline Wilkie who uses Orff Schulwerk approaches with early years. I have long had an interest in Orff Schulwerk, but it is better known in Europe and the USA than in the UK and opportunities to attend events on my doorstep don’t come by too often. It just so happens that Caroline is an associate musician with Drake Music Scotland and includes Figurenotes in her work. It was a positive, playful and immersive experience, which is often the best way to introduce ideas based on music, language and movement, with some time for reflection both during and afterwards. If a teacher is the greatest resource in a classroom, then events like this necessarily induce a personal response in that participant that then feeds into future lessons and activities. It’s important therefore that the participant has a sense of the experience, because that can drive the future teaching. While these sharing events are not formal educational CDP in a conventional sense — they don’t speak about teaching requirements or targets, for example — that are very important in addressing the creative (and important) elements that underpin the spirit of the Curriculum for Excellence. Non-formal education embraces these approaches very readily and it is a cornerstone of the Musical Futures programme, which has attempted to bring these values into secondary education. The next Swapshop takes place on 29th October. Full listings on the EMYF website. One project I am working on is research on Scottish traditional flute playing. After some interest from an introductory article I wrote for The Flow website some time ago, I interviewed three prominent Scottish flute players in August 2012 in order to delve a little deeper into the subject. What I didn’t foresee is that my schedule would relegate this project to the backburner for over 12 months. This term I have managed to restructure my time and I have now transcribed two of the interviews at a total of 17,000 words. After I have transcribed the final one, I will be in a position to distil them into an article that I hope will shed light on some of the many aspects of playing traditional music on the flute in Scotland. What is clear is that there is much more to learn and discover and that this project is only at the early stages. I look forward to discovering more. I am at present developing a couple of collaborative projects with Jane Gaze, a Borders visual artist and arts/ history educator. We have worked together previously and it is intended that these projects will bring together historical, musical and visual creative strands together with a sense place in the Borders, all working within the Curriculum for Excellence remit. 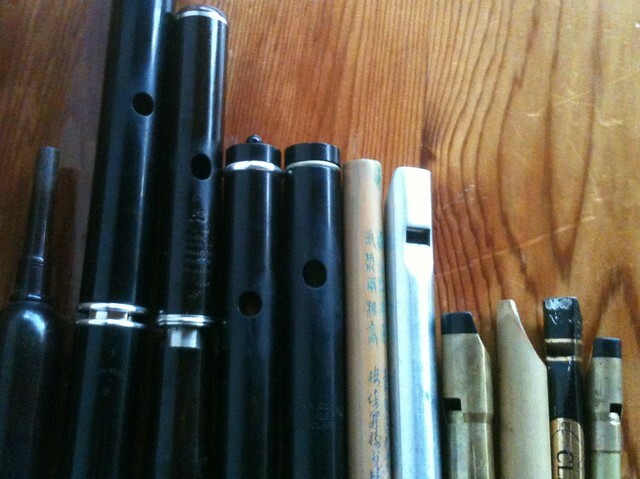 This entry was posted in classes, Community, Events, FluteFling, News, Workshops and tagged collaboration, community, cpd, creative music workshops, edinburgh, Scottish Borders, special needs, workshops. Bookmark the permalink.